The origins of the Mexican-American War can largely be traced back to Texas winning its independence from Mexico in 1836. Following his defeat at the Battle of San Jacinto (4/21/1836), Mexican General Antonio López de Santa Anna was captured and forced to recognize the sovereignty of the Republic of Texas in exchange for his freedom. The Mexican government, however, refused to honor Santa Anna’s agreement, stating that he was not authorized to make such a deal and that it still considered Texas a province in rebellion. Any thoughts the Mexican government had of recovering the territory quickly were eliminated when the new Republic of Texas received diplomatic recognition from the United States, Great Britain, and France. During the next nine years, many Texans openly favored annexation by the United States, however, Washington rejected the issue. Many in the North were concerned about adding another “slave” state to the Union, while others were concerned about provoking a conflict with Mexico. 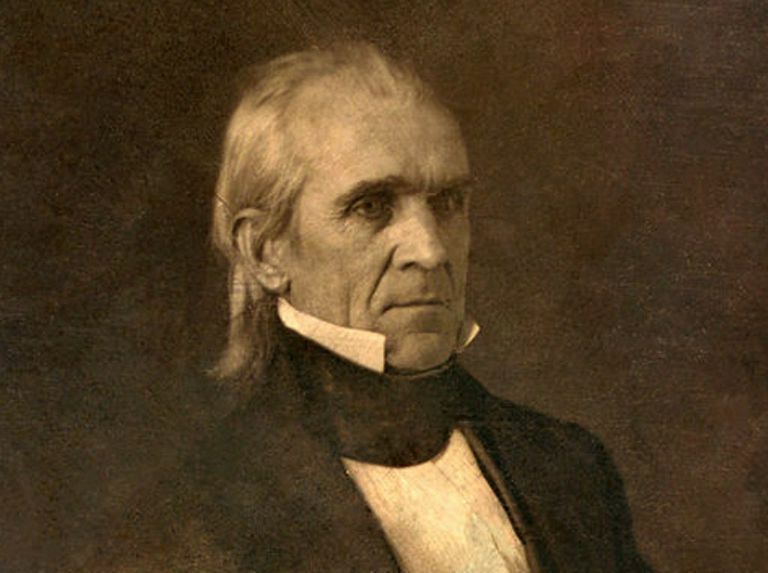 In 1844, Democrat James K. Polk was elected to the presidency on a pro-annexation platform. Acting quickly, his predecessor, John Tyler, initiated statehood proceedings in Congress before Polk took office. Texas officially joined the Union on December 29, 1845. In response to this action, Mexico threatened war but was persuaded against it by the British and French. As annexation was debated in Washington in 1845, controversy escalated over the location of the southern border of Texas. The Republic of Texas stated that border was situated at the Rio Grande as set forth by the Treaties of Velasco which had ended the Texas Revolution. Mexico argued that the river stipulated in the documents was the Nueces which was located approximately 150 miles further north. When Polk publicly supported the Texan position, the Mexicans began assembling men and sent troops over the Rio Grande into the disputed territory. Responding, Polk directed Brigadier General Zachary Taylor to take a force south to enforce the Rio Grande as the border. In mid-1845, he established a base for his "Army of Occupation" at Corpus Christi near the mouth of the Nueces. In an effort to reduce tensions, Polk dispatched John Slidell as minister plenipotentiary to Mexico in November 1845 with orders to open talks regarding the United States purchasing land from the Mexicans. Specifically, Slidell was to offer up to $30 million in exchange for locating the border at the Rio Grande as well as the territories of Santa Fe de Nuevo Mexico and Alta California. Slidell was also authorized to forgive the $3 million in damages owed to US citizens from the Mexican War of Independence (1810-1821). This offer was refused by the Mexican government which due to internal instability and public pressure was unwilling to negotiate. The situation was further inflamed when a party led by noted explorer Captain John C. Frémont arrived in northern California and began agitating American settlers in the region against the Mexican government. In March 1846, Taylor received orders from Polk to move south into the disputed territory and establish a position along the Rio Grande. This was prompted by new Mexican President Mariano Paredes declaring in his inaugural address that he intended to uphold Mexican territorial integrity as far as the Sabine River, including all of Texas. Reaching the river opposite Matamoros on March 28, Taylor directed Captain Joseph K. Mansfield to build an earthen star fort, dubbed Fort Texas, on the north bank. On April 24, General Mariano Arista arrived in Matamoros with around 5,000 men. The following evening, while leading 70 US Dragoons to investigate a hacienda in the disputed territory between the rivers, Captain Seth Thornton stumbled upon a force of 2,000 Mexican soldiers. A fierce firefight ensued and 16 of Thornton’s men were killed before the remainder was forced to surrender. On May 11, 1846, Polk, citing the Thornton Affair asked Congress to declare war on Mexico. After two days of debate, Congress voted for war—not knowing that the conflict had already escalated.